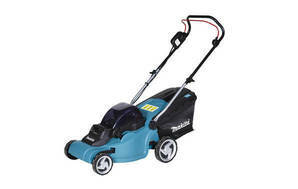 Snapshot: This Makita DLM380Z is a catcher-only battery-electric mower that weighs 13kg and has a cutting width of 38cm. But does it make the cut? Body can drag on the grass on lower cut settings.